Title IX Confidential Resources will not disclose confidentially-shared Title IX information to the Title IX Office or anyone else, subject to a few exceptions. See FAQs for more information. Fr. Jim Gallagher, C.S.C. returned to the University of Portland in 2015 to serve as the director of Campus Ministry. For the previous seven years he served in the Office of Vocations for the Congregation of Holy Cross. Originally from South Bend, Indiana, Fr. Jim received a bachelor's degree in Aerospace Engineering from the University of Notre Dame in 1998 and a Masters of Divinity degree from ND in 2006. 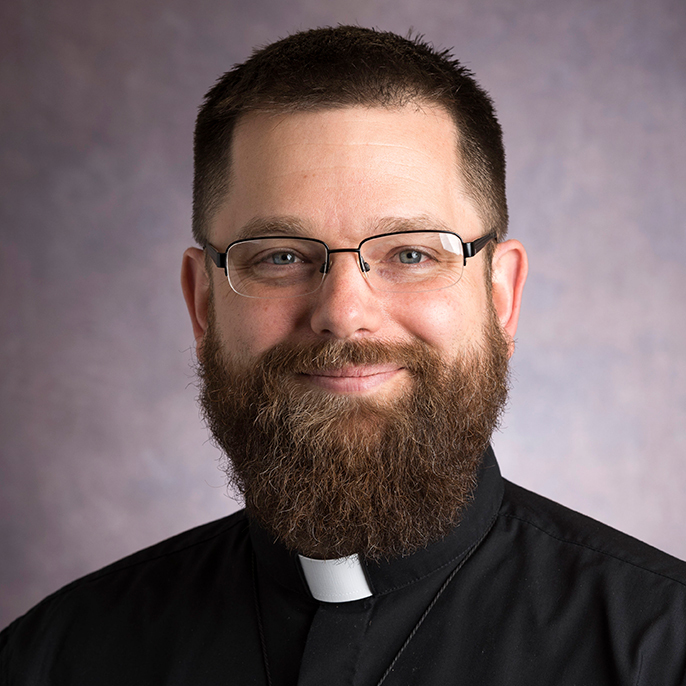 He was ordained a priest with the Congregation of Holy Cross in 2007 and spent his first several years of active ministry in Campus Ministry and Residence Life at the University of Portland. Having lived as a chaplain in residence halls since 2006, Fr. Jim currently resides in Corrado Hall.